Prince William and Kate, the Duchess of Cambridge, have just shared the photo that winged its way out into the world via the royal Christmas card. 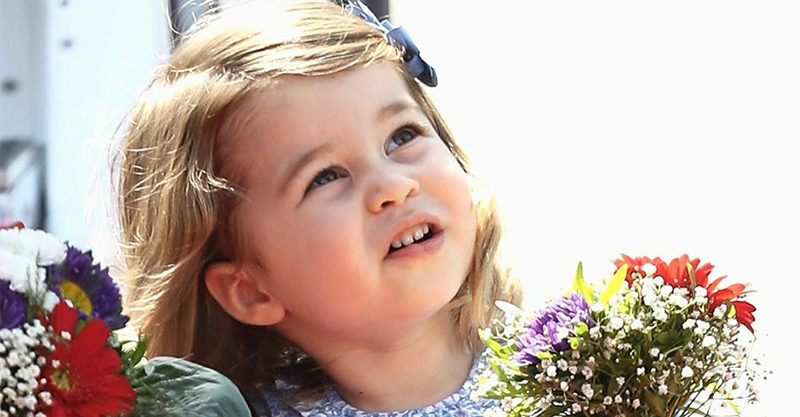 It’s highly likely that two-year-old Princess Charlotte could not look any cuter! Following a long-held tradition which makes it near-impossible for everyone in a family photo to be smiling at the very same time, a mischievous George appears poised to run out of the shot and Charlotte sports a bemused expression that could best be described as “Muppet mouth”. Expectant royal parents Kate and William are either gritting their teeth OR smiling in the photo, we are not sure which, but we ARE sure that this photo is all of us. What we might be lacking in royal bloodline, we make up for in similar under-the-breath requests to “stay put” and gentle-yet-menacing hands on shoulders of four-year-olds who are threatening to go AWOL or have a complete meltdown. It’s every family portrait, royal style, just missing a crying baby, a sprinkle of red-eye and someone with their eyes shut, to fully seal the deal. The shot, which was taken by Getty’s Chris Jackson mid-way through the year, popped up on the Kensington Palace Instagram account overnight, much to the delight of royal enthusiasts. It was accompanied by the news that Princess Charlotte will start school in January, at Kensington’s Willcocks Nursery School. Chris shared the same shot on his own Instagram, and a bonus snap of little Princess Charlotte receiving her first bouquet. It really is a sweet snap and we are so glad Chris was charged with the task of capturing the royals, because he manages it in very relatable and cheeky style. Prince William and Duchess Kate are expecting their third child in April next year, a month before Prince Harry and Meghan Markle are set to wed.